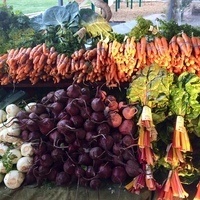 Enjoy the bounty of the seasons, and buy directly from local farmers, ranchers and producers. Items include farm-fresh fruits and vegetables; pasture-raised chicken, lamb, beef and pork; local eggs and honey; local cheese, dried fruit and nuts; olives and olive oil; flowers and plants; breads and pastries; fresh juices; prepared and to-go foods, crafts and gifts. According to researchers, this is because people tend to get distracted by "irrelevant information," which leads to "less selective processing." That means people seem to prefer quantity over quality. They want a whole lot of people to choose from, but they don't want to take the time to "screen out inferior options." An event is offered for the enjoyment of the youngsters. The spotlight of the term and https://www.australian-writings.org/ is identified for the humans. The liquidation is done for the flow of the offers for the pats of the field.